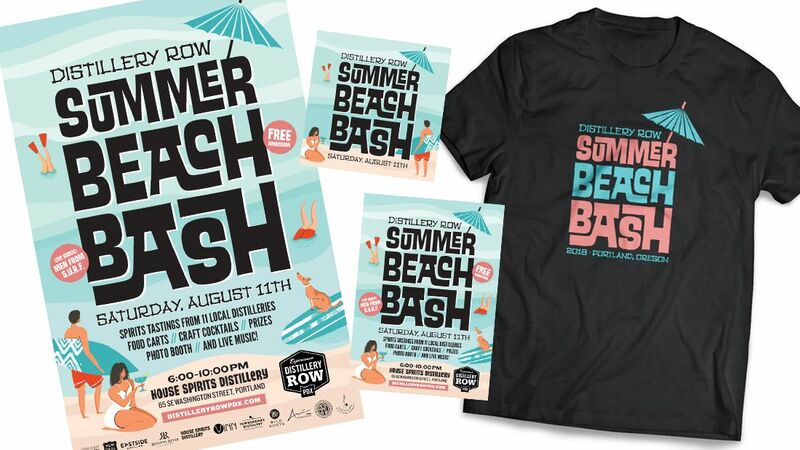 We put together this fun and festive campaign for Distillery Row’s Summer Beach Bash in Portland, Oregon. The annual party is a chance for all of the distilleries in the Row to come together and share their craft spirits, make tasty and refreshing cocktails, enjoy some live music, and say “thank you” to the local community. The advertising and marketing campaign included posters, postcards, local newspaper ads, and social media graphics all centered around the fun and retro type treatment we created for the event, that even includes a tropical drink umbrella!